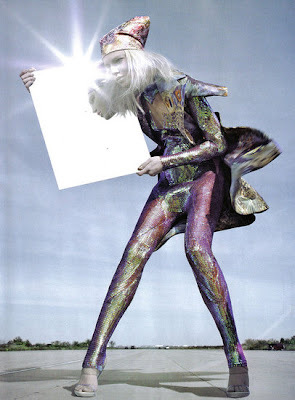 While Gemma Ward is still missing from the fashion scene, but some of her compatriots are making a return to the influential editorial fold after lengthy breaks, courtesy of the May 2009 Vogue Italia. 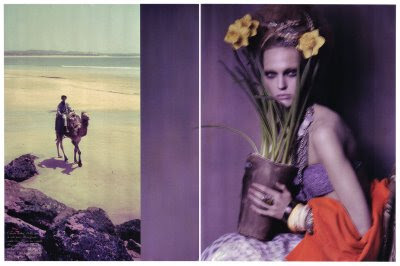 My favorite model, Irina Lazareanu, who has been in full-on hiatus mode, skipping both the Spring 2009 and Fall 2009 runways save for a couple of turns during couture in January for Alexis Mabille and Christian Dior, is finally back in Miles Aldridge's technicolored "Dreamy". 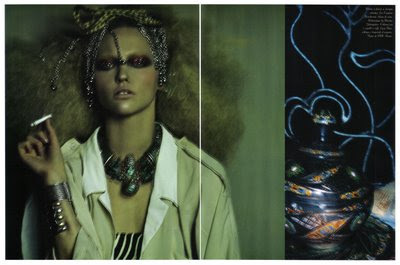 And Suvi Koponen, who skipped the Fall 2009 runways to travel the world, returns to major editorial ground showcasing what she does best — pose — in Richard Burbridge's "A Summer Blend". 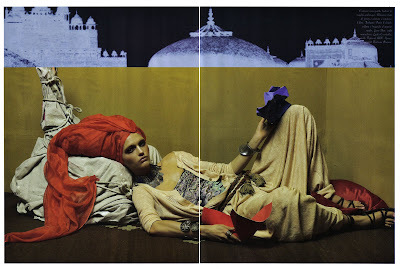 Not to mention Sasha Pivovarova's return to Vogue Italia cover territory, Moroccan-style. 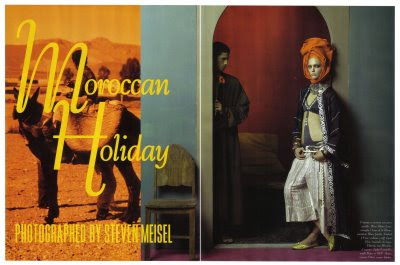 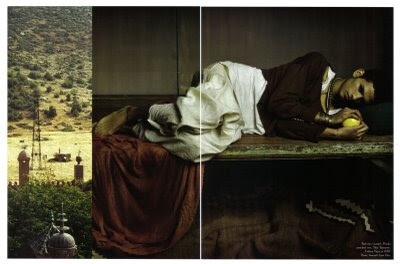 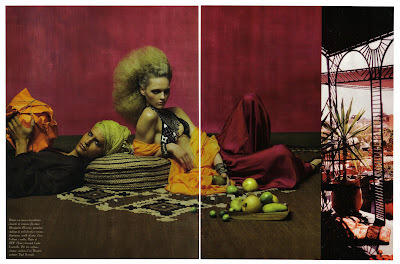 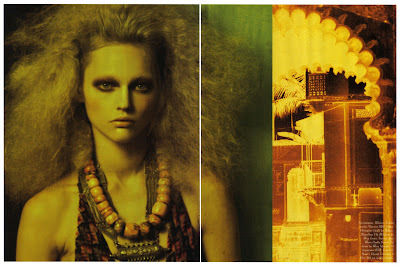 And with an awesome fashion spread Steven Meisel's "Moroccan Holiday".